Your dog will always be with you through thick and thin. Give your dog some love and care through playful interactions which will result in your dog leading a wonderful life, and even add value to your own. All dogs have different personalities and are driven by different things. Praise and reward your dog when you achieve something together, big or small. The dog’s need for exercise and attention changes through the years from puppy to senior. Therefore, you need to adapt your toys based on the age and abilities of the dog. What does your dog need to feel good? 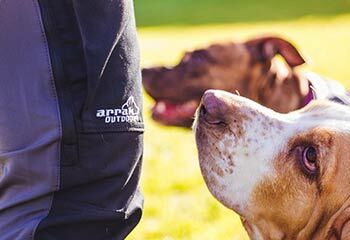 At Arrak Outdoor we offer a wide range of dog accessories to make it easier for you as the perfect pair. 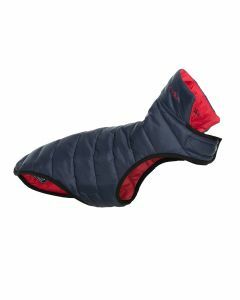 For trips into forests and nature we offer leashes, dog blankets and toys for your dog. We also offer clothes to you as the owner so that you too can be prepared for all kinds of weather. And don’t forget to bring your chewing toys which are great for fun games. Take care of your best friend – that’s what friends do!